Home > Consumer Rights > Is the Customer is Always Right? Great customer service is a skill that many small businesses excel at. Getting to know your customers can develop a sense of loyalty in them and you’ll find that they’ll come back in the future if they feel they’ve been treated well. One of the most difficult aspects of good customer service however is when you need to decide at what point is the customer always right, even when you know they’re wrong? Knowing how to deal with this is a fundamental area of customer service and takes a lot of practice. There is no doubt numerous occasions in business where the customer is definitely wrong. In the collectibles business, customers are often well informed about upcoming products or the correct prices you should pay for individual items. Because of this, customers can be very steadfast when it comes to their rights and this can sometimes create problems for you as a customer service agent. You ultimately want customers to do their shopping in your store, but it’s inevitable that they will challenge your authority at some stage. Customers can be wrong about many things - from wanting to pay a lower price, to complaining that an item isn’t what they wanted. At this stage, most quality management will try to appease the customer and smooth over the issue. The age-old phrase ‘the customer is always right’ comes into play, primarily because you want to ensure the customer comes back to your store and refers your great service to other potential customers. There is a point however when you need to draw the line and realise that the customer can be wrong. If a customer is abusive in any way to yourself or your staff members, this is a customer you definitely don’t need. It doesn’t matter how long they’ve been shopping at your collectibles store, when they become abusive, it’s time to wave them goodbye. Don’t be afraid to ban them from your business and if they are still causing problems, contact the police for further advice. Customers who ask you to carry out something illegal or potentially usurp other customers can also be considered ‘wrong’. Don’t feel pressured into bending to their will just to make a sale. Your own integrity and sense of decency will be far more important in the long run than one customer is to your sales. It is better to lose customers early on rather than provide them with something that doesn’t meet their satisfaction and leads to a long-term relationship based on ill feeling. One of the foremost reasons for the phrase ‘the customer is always right’ is because it works well for management to instill a sense of decency and high regard for customers in their staff. Often it’s impossible to watch every staff member and how they interact with customers, so telling them the customer is always right creates the idea that they should always be sensitive to customer needs. It breaks down the idea that internal rules and regulations are more important than the customer. You want your staff to be friendly and willing to bend slightly when it comes to customer needs and complaints, so throwing this ‘catch-all’ phrase at them reminds them of the need to consider the customer in all transactions. One of the more tricky areas of believing the customer is always right is how it makes your staff feel. If your staff has a genuine cause for complaint over a customer, it’s your duty as management to support your employee. If you don’t, you may end up alienating your staff and making them unhappy. 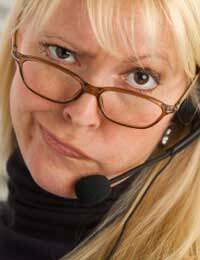 Ultimately this will then end up in bad customer service – the very thing you’re trying to avoid! Giving brash, abrasive customers more of your time and concern than your staffs is never a good move. Some customers genuinely are not good for your business. Continually siding with these types of customers shows your staff that you don’t value them or their opinions and that they have no right to respect from your customers. At this stage, you’re treading a fine line as you may end up losing your staff and they are as much an integral part of your collectibles business as your customers. Ultimately, when it comes to customer service and whether the customer is always right, you have to look at each situation individually. Take into account what your staff are saying and the customer and try and reach a happy medium. Your goal should be satisfactory outcomes for both parties involved so always strive for that. Refunds and Exchanges: What's Legal?